The state of Indiana wants to repair the damage. Indiana’s economic development and tourism agencies said Monday that they have hired global PR agency Porter Novelli to rebuild the state’s reputation following the Religious Freedom Restoration Act controversy. The state plans to spend $2 million with Porter Novelli, plus however much more is needed in actual advertising buys, according to the Indianapolis Star. "The recent controversy has advanced the thinking of just a lot of people, that you can't take for granted that people know what Indiana is," Chris Cotterill, general counsel for the Indiana Economic Development Corp., told the publication. Earlier this month the state’s reputation took a serious hit after Gov. 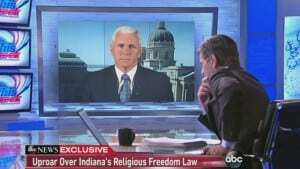 Mike Pence (R) signed the Religious Freedom Restoration Act, which opponents said would allow Indiana businesses to discriminate against gays and lesbians. After both the public and some very influential businesses, including Apple and Walmart, voiced their opposition to the legislation the law was clarified making discrimination based on sexual orientation unlawful. The law has been amended, but Porter Novelli’s work is just beginning. The agency needs to take a multi-channel approach toward convincing the public that Indiana is welcome to everyone, with a strong emphasis on social media. 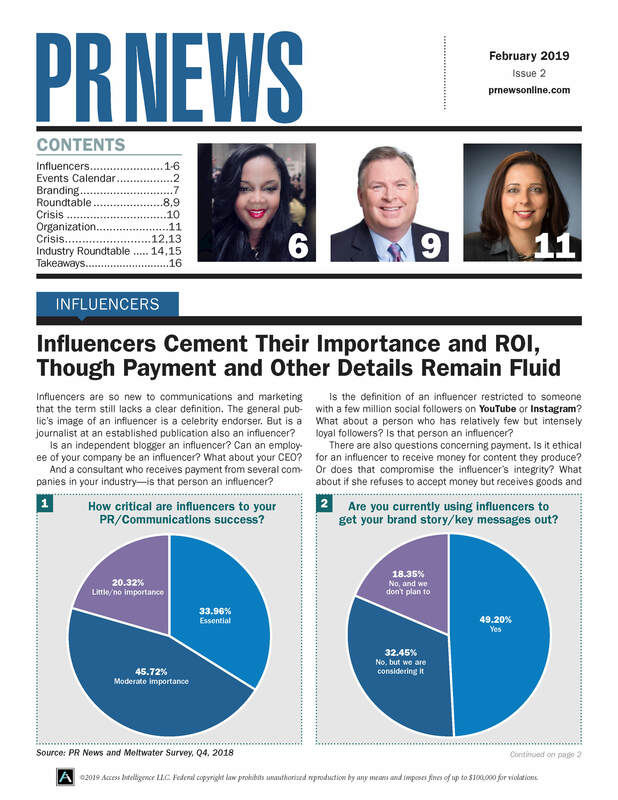 PR can help to facilitate conversations with business and community leaders, as well. It will also play a role in getting the governor and lawmakers to tell their story to the media, both local and international. For PR agencies, taking on clients emerging from controversy is fraught with challenges. Here are a few PR tips for dealing with the big picture, from Arthur Solomon, former senior VP/senior counselor at Burson-Marsteller, who now consults on public relations projects. > Create a “repair the damage” all-media campaign that can be launched as soon as possible after the cause of the crisis is resolved. > Just as having a crisis communication plan and policy manual is important, create an email manual detailing what company information can and cannot be emailed. > Create a Twitter manual as well. > After speaking to a reporter, write a detailed report of the conversation and immediately send it to all crisis team members. > Emailing answers to reporters’ questions is now an accepted method of communications. When a reporter asks questions, ask if it’s OK to email the answers. That will provide some time to think before you answer. What would you do from a PR standpoint if you were hired by the Indiana’s economic development and tourism agencies to rehabilitate the state’s image? To learn more about crisis management, order a copy of PR News' Crisis Management Guidebook. I’d start rebuilding relationships with key people Matthew. I’d avoid an all-media campaign too. Part of the plan could be to do nothing for a period of time. I’d forgotten about the controversy and I’m guessing that I’m not the only one, so there’s an argument that doing media might do more damage than it would help the situation. A twitter manual?! Who came up with that idea?!! Also, emailing reporters won’t help unless you have an FAQ where you provide people with the answers to the questions reporters might ask. Indiana, these are probably better ideas than the ones in this article. They took me 5 minutes to come up with and didn’t cost you $2m.